Contents: One box containing manual (160 pages) and 5 CD's in folder sleeve (or DVD-ROM). 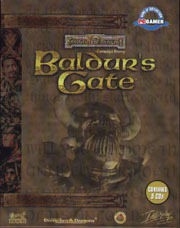 Baldur's Gate is rated as one of (if not "THE") greatest RPG computer game to date. It features a huge game world of 10,000 scrolling screens spanning 5 CD's, non-linear adventures and sub-plots, with detailed terrain, locations and weather conditions all based on the AD&D rule system in the locations around the Sword Coast. See also the Baldur's Gate official strategy guide, comic and novel. See the page for Tales of the Sword Coast, an expansion pack for Baldur's Gate. Baldur's Gate is also available in a double package release along with Tales of the Sword Coast and an October 1999 release also has the game available on DVD-ROM..
See also the Baldur's Gate: Enhanced Edition. I would rate it higher if possible but it only goes to 5! 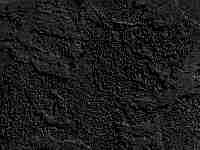 well done to interplay, black isle, TSR,bioware and all the people that helped with the making of Baldur's Gate an incredible game which keeps you rivited to the screen, though i might suggest in Baldur's Gate 2- Shadows of Amn that you add swamps and swamp creatures. All in all an excellent game i recomend it to anybody. well done. The game that starts a revouloution of computer rpging. This game is truely collossal. "If its so great", you ask, "then why have you only said it is very good?". The answer to this is simple, while it is the groundbreaker for computer RPGs, Baldurs Gate 2 brings a whole new level. I will be doing a review of that too soon. The essence of it, without giving away the plot, is that you create and control a character, fleeing their childhood home with their guardian, with no apparent reason. As he carries on, the overall quest becoming clearer, he meets others to aid him, with problems of their own. Will you be the hero of the sword coast, or the scourge of the land? Your actions affect your alignment, and this affects what others think of you. Good characters have a better chance of good people joining them, and even through evil may do the same, they will have little patience with you. Evil attracts evil, and the attention of the authority. A truely worthwhile game. Because it has been around for a while, it works on a lot of computers, and is avaliable for a very cheap price.